Hansen + Genwest dry type transformers rating vary from 20kVA up to 4MVA, with the primary voltage up to 11kV and secondary voltage up to 3.3kV. The transformers offer a wide range of flexibility, without compromising safety and reliability. M.V ENCLOSURE: Provided with switchgear as requested by customer. Can be provided with full protection and remote switching facility. TRANSFORMER: Fully type tested core and windings with winding temperature sensors, Arc and fire protection and fire suppression mechanism. L.V. ENCLOSURE: Fully protected incomer circuit. Outgoing circuits as per customer requirements. The transformers are IP65 rated and manufactured from substantial mild steel, suitable for underground or surface environment. 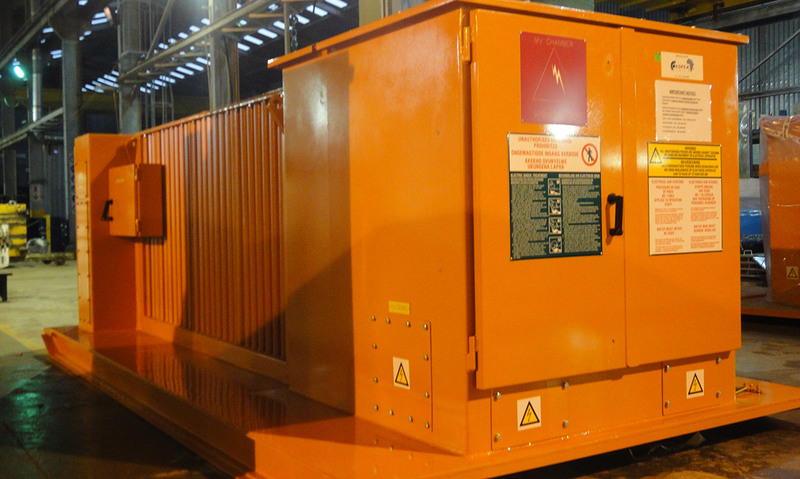 Range/Rating 20kVA up to 4MVA, 3 phase, 50Hz.